Select any 3 diffuser oil aroma samples in 3ml (1/10th oz) glass jars. They will arrive with scent strips. Dip the natural fragrance oils onto the strips and let them dry down for 2 minutes before smelling. This will give you an approximation of how the home fragrance oils will smell when diffused. Ok...so it smells way better coming from an aroma diffuser...but you get the idea. If you have an essential oil diffuser, you will receive enough to try it in your diffuser. 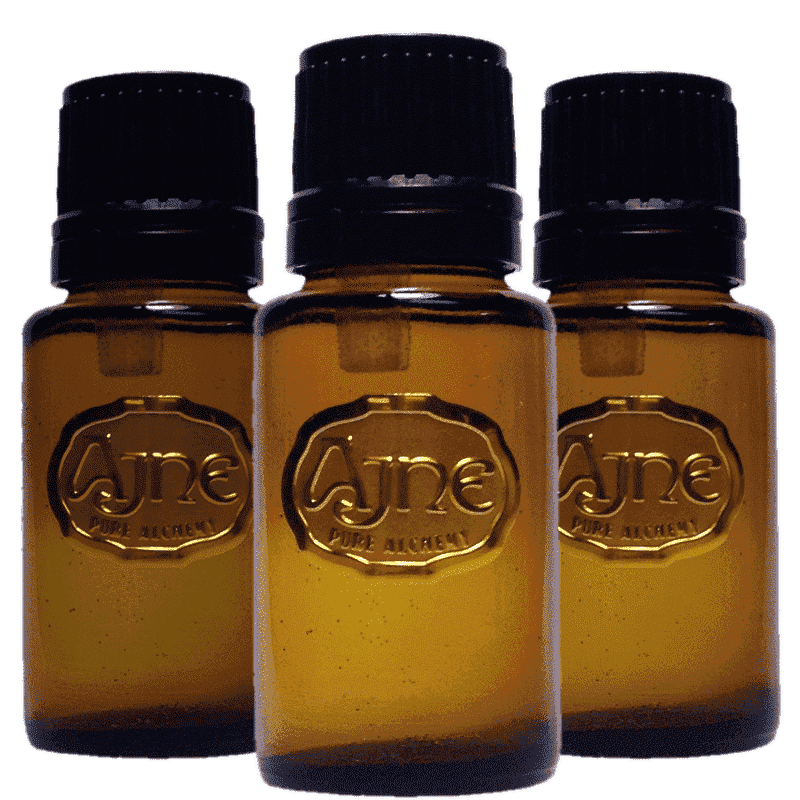 And as with all of our sample sets, you receive a savings code with the samples that to redeem 100% of the sample cost toward the purchase of any Ajne merchandise of $75 or more within 60 days. This makes the samples free upon redemption. Please note: We offer rock-bottom sample pricing so you can try without risk. We reserve the right to substitute if the same aroma is selected multiple times. Thanks for your cooperation. And please call or email us if you would like suggestions prior to purchasing. Contains: Our proprietary fragrance composition of only 100% natural essential oils and absolutes distilled from flowers, fruit, citrus, seeds, grasses, leaves, bark, wood and spices via cold press, hydro, steam, CO2 or soxlet extraction. Always Anti-fungal. Anti-viral. Anti-microbial. Anti-bacterial. Pollen-free. We invite you to try our organic skin care samples..
*This is a luxury boxed gift certificate shipped b.. Select any 3 body care items in 5ml (1/6th oz) g..
Natural Perfume SamplesWe want your to love it bef..